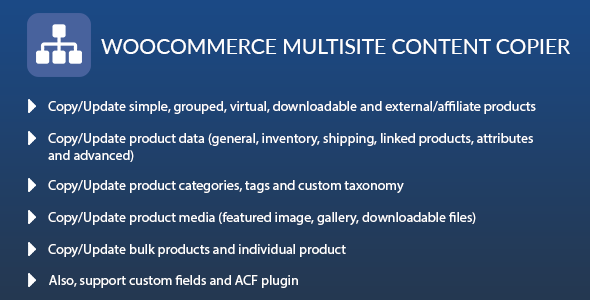 Individual copy/update products (simple, grouped, virtual, downloadable and external/affiliate) from one site to the other sites. User Roles: Select user roles you want to give individual copy/update access. Bulk Copy/Update: You can copy/update bulk products (simple, grouped, virtual, downloadable and external/affiliate) from one site to the other sites. Please follow the below steps. Individual Copy/Update: You can copy/update individual products (simple, grouped, virtual, downloadable and external/affiliate) from one site to the other sites. Please follow the below steps.